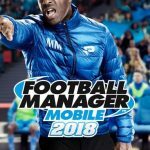 Back in January, SEGA released a new update for Football Manager Mobile 2016, a game that’s “designed to be played on the move” and also the “quickest way to manage your favorite club to glory.” This game is the mobile version of Football Manager 2016, and the latest in a series of FM titles ported to mobile – the game is currently available on the Apple App Store and Google Play Store as a paid title. In the game, you can control clubs from 14 countries around the world, including the English Premier League, the German Bundesliga, Italy’s Serie A, and other big European leagues. According to SEGA, the focus is on tactics and transfers, much like the game’s larger-scale version for PC. You may be wondering how to play the game, whether you’ve played the PC version, or whether you’re a complete newbie to the series. And you may or may not have an extensive knowledge of world football leagues. Regardless what the case is, here’s our Football Manager Mobile 2016 ultimate guide, with tips and tricks that run the gamut from tactics to transfers and everything in between. 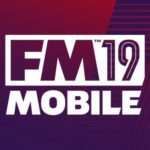 Before playing FM Mobile 2016, you’ll want to familiarize yourself with the basics, starting with the available game modes. In normal mode, you can choose up to four countries, with most of those countries’ native players available. So if you choose not to play with the Spanish La Liga, top players such as Iker Casillas, Cesc Fabregas, and Andres Iniesta would be available, but there will be many other lesser-known, yet promising players not included among the available players. You will also be limited to a certain club’s real-life players, so if you don’t like a certain player from the club of your choice, you’re stuck with him unless you make him available for transfer later on in the season. The second game mode allows for more customization as far as your club is concerned – we’re referring to My Club mode. In My Club mode, you will choose countries and data like you would in normal mode, but after that, you will choose a club to serve as a template. You will then have the option to retain or release players, or even delete players completely. In other words, you’re free to add or remove anyone you wish to your club, even if it’s a 16-year-old football wunderkind with the skills of someone ten years older. The third game mode is Challenge mode. This would allow you to take part in quests, so to say, that require you to achieve a certain something, or play with a team that has certain limitations. For example, you may be asked to help your club retain its winning record, or manage a club that’s got a slew of major injuries. When choosing countries to play with in FM Mobile 2016, you want to make sure the first country is the one you are primarily focused on. So if you’re a fan of the English Premier League, choose England as your first country. That will ensure your news feed primarily features the latest updates on the EPL, or even the lower-level leagues, as well as up-to-date transfer rumors, and whispers on player happiness and contract information. Again using the EPL example from above, that means starting out with teams like Chelsea, Arsenal, or Man Utd, for instance. Of course, you have the option to start with a lower-level team outside of the premier leagues, but if you’re a Football Manager newbie or don’t have much knowledge about world football, it’s best to start with a powerful team where a good few players are well-known around the world. A lot of players tend to go nuts with the transfers, buying players they like, or players whom they feel have a lot of potential. That’s especially true if you’re talking about a club that has a high transfer budget; you’ve got the funds to negotiate a ton of deals, so why not add more players? The answer below will tell you why this is not a very good idea. If you have too many players in your squad, that will roil your existing players, and also the new ones you added to the team. If there’s a lot of competition at one position, players will get unsettled, and that could compromise their performance as well as the team’s. We would strongly, and we repeat strongly advise you against ticking the Big Club Release clause. What does this clause mean, and what’s in it for you? Simply put, big clubs could easily court your player and snap them up, and you won’t have any right to refuse the deal, or even negotiate their price. Another clause that you should avoid is the one where you can set a price for other clubs to bid on. As you won’t be able to negotiate transfer pricing either with that latter clause ticked, it’s best to leave that off as well. Instead of gambling on a potential stud who has no history with any key player on your team, you might want to go with someone whose skills aren’t too gaudy, but is nonetheless solid and has played alongside one of your key players for some time in the past. Chemistry can be a game-changer in Football Manager Mobile 2016, so take that into consideration when managing your team. In the real-life world of sports, it’s not uncommon for young teams to do well in their respective leagues/sports. But in FM Mobile 2016, experience is paramount. If your team has too many youngsters in the lineup, chances are you wouldn’t live up to your potential. Guess that’s because the game recognizes that kids will be kids, and will be more prone to making the proverbial rookie mistakes. Or, in other cases, hitting the so-called “rookie wall,” where young players’ performances drop in the second half of the season. You also want to make sure you’ve got at least a couple players who have high leadership statistics. This stat can come in handy in certain situations, such as if you’ve got a foreign player who gets homesick. Such situations could make your players’ performance tail off, and they could lose their form and cost your team some games. Having high leadership players reduces the chance of homesickness and similar events happening. 8. What Are Evogens, And How Do You Spot Them? If you’ve played FM in the past, you’re probably familiar with the concept of “regens,” or regenerated players. Regens replaced players who had just retired, and are typically young and always fictional – what do you expect, as they’re randomly generated? 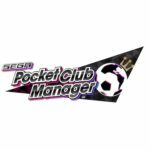 Since the debut of Football Manager Handheld 2014, they’ve been known as Evogens, and while the premise behind them is similar to that of regens, there are some key differences. An Evogen’s name and personality, among others, will be completely randomized. But Evogens will always correspond to someone who has just retired; for example, let’s take a player like Steven Gerrard, who turns 36 this year and is showing some age. When he retires, he may be replaced by an Evogen named John Smith, with largely similar stats to Gerrard as a younger player. So how do you know if someone is an Evogen of a recently retired player? There are some clues that could help you spot Evogens. The first clue would be nationality; the example they used was an Ivorian debuting with great numbers in his first few seasons potentially being an Evogen for Didier Drogba (turning 38 this year, though still active). Positions can also be a clue, though they may slightly change; for example, a F LC (forward, left/center) could become an AM/F LC (attacking midfielder/forward, left/center) once he regenerates into an Evogen. Last main clue would be their start date, which would normally be three months after the original player retired. We wouldn’t really call this (and the next few ones thereafter) a cheat in the truest sense, but rather an achievement that could give you some big-time leverage, allowing you to spend some big bucks on some big-name players, say, Lionel Messi or Cristiano Ronaldo. First thing to do to unlock Sugar Daddy is to remain with the same club for two seasons or more. Next, make sure that your Board Confidence has all the bars in green, which means you have to buy the right players, stay within your budget, and win some trophies. These achievements would typically be relative to your club’s reputation. Once all is good, go to the News Section, where you’ll see news of a foreign billionaire who wants to invest in you club. By all means, accept their generous investment. Want to be your club’s manager for life? That’s something that probably won’t ever happen in real life, but in Football Manager Mobile 2016, there is an achievement that can allow you to stay with your team indefinitely without ever getting sacked. In order to unlock Place on the Board, you’ll first have to make sure this achievement is enabled in the preferences, and that you’re managing a club team. Stay with the club for over ten years and ensure that the board remains happy, and this achievement is yours to unlock. The No Transfer Windows unlockable can also be turned on or off in the menu screen, like the other two unlockables above, and again, can only be done on a club team. What you need to do here is to make a profit within the transfer window, with the amount of profit required related to your club’s reputation. Unlocking this achievement means you can acquire players via transfer anytime in the season. Similar to No Transfer Windows, No Loan Restrictions also requires you to enable it on the menu preferences and be managing a club team, so that you can acquire players via loan without any windows restricting the timing of such moves. You can unlock this achievement if a player you loaned wins League Player of the Year or other awards. Again, this is an achievement you can unlock, and it’s simply called International Management. In order for you to start as an international game under Select a Team, you need to take over an international club and win a competition as their manager. FM Mobile 2016 will also allow you to add a player’s son to the team as a youngster through the Your Son unlockable. Buy a player and ensure that he plays one game a season or more and receives a testimonial for playing ten years with the club. No Work Permits allows you to acquire players from foreign countries who would otherwise require work permits; unlock this by buying a specific number of players who require work permits in a country that requires them. Lastly, Owe You One can be used only once a career with a club team, and can be unlocked by staying at the same club for four seasons, making the board happy, and earning a specific number of trophies. You’d be able to make any request to the board, most preferably increasing your transfer budget so you can afford top players. Got a strong defense but a weak attack? Or do you have more than enough big-time goal scorers? Those are just two of the questions you have to ask yourself when choosing tactics for your team. It will all depend on what type of players you have on your team, but one thing to bear in mind is to always have your players playing the right roles. Check the players’ preferred position and side and position them accordingly, or they won’t play according to their usual form. Hi I keep getting sacked with absolute no correspondent telling so,I get warnings saying “were not happy with your manager skills”lol but then boom sacked and like I say nothing to tell me -is this a glich, many thanks for any help guys.